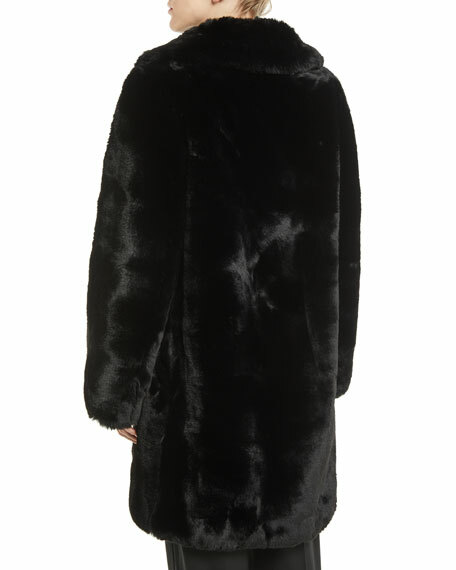 Marc Jacobs chubby plush coat in faux-fur (polyester). For in-store inquiries, use sku #2632638. 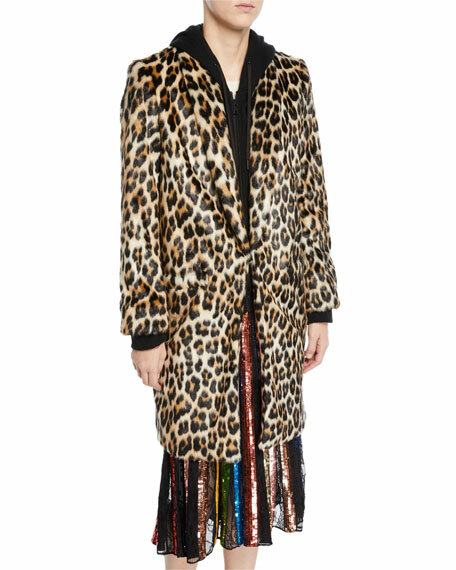 Alice + Olivia "Kylie" coat in leopard-print faux-fur (modacrylic) with hoodie layer. Shawl collar; zip front closure. Long sleeves. Side pockets. Relaxed fit. Knee length. Cotton combo. Polyester/spandex lining. Imported. 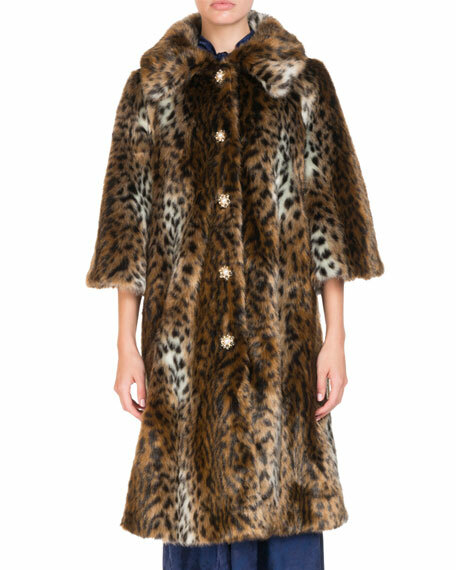 Erdem "Sorayah" faux-fur coat with leopard-print. Spread collar; jewel press buttons. Three-quarter sleeves. Relaxed fit. Knee-length. Modacrylic/polyester. Lining, cupro/silk. Made in UK of Italian materials. Gabriela Hearst "Pavlovna" plush trench coat in faux-fur (wool/silk/cashmere). Notched lapel; wrapped front Long sleeves. Self-tie sash at waist. Midi length. Wool/silk/cashmere. Dry clean. Made in USA. Le Superbe "Walker" coat in faux-fur (polyester). Collarless neckline; concealed button front. Long sleeves. Semi-fitted silhouette. Cropped hem. Polyester lining. Dry clean. Made in USA of imported material.